Just a few fun photos in the snow that came after the "vortex". and Miss Abbey Lane loves it! 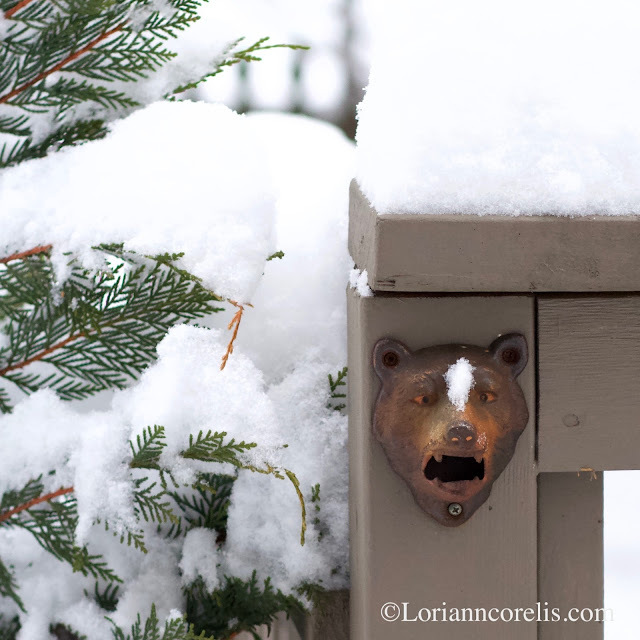 "And Mother Nature warmed her with a new hat and stole"
Antique bottle opener on the deck ~ looks a bit surprised by the snow! 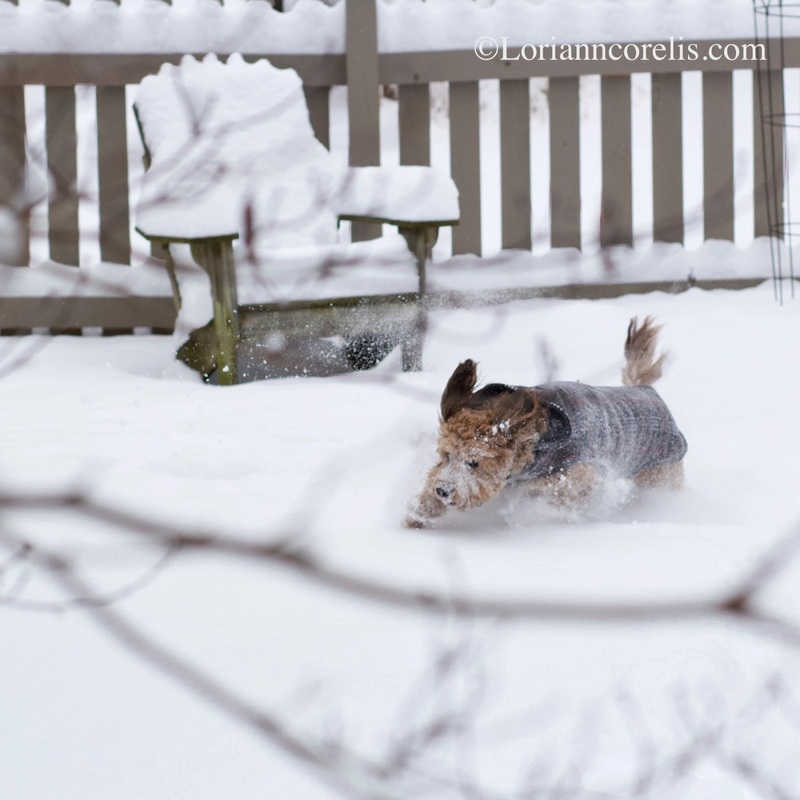 We should all experience the pure joy of a good snow romp! Oh what wonderful snow photos! 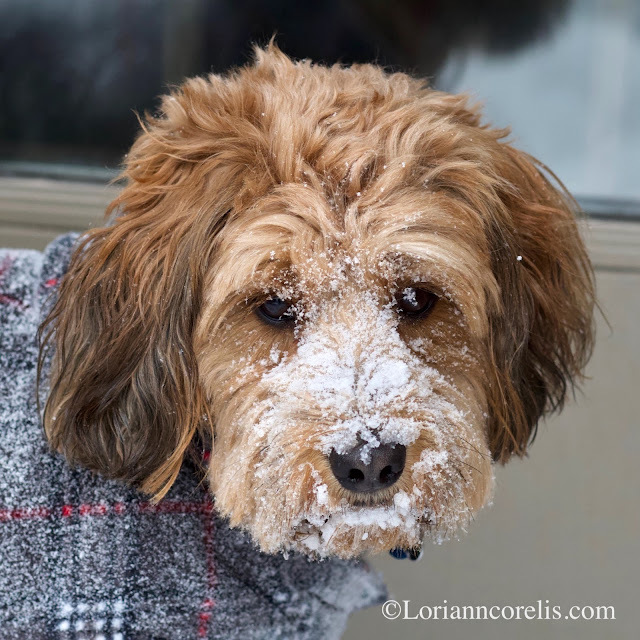 Our dog washes her face repeatedly in the snow. 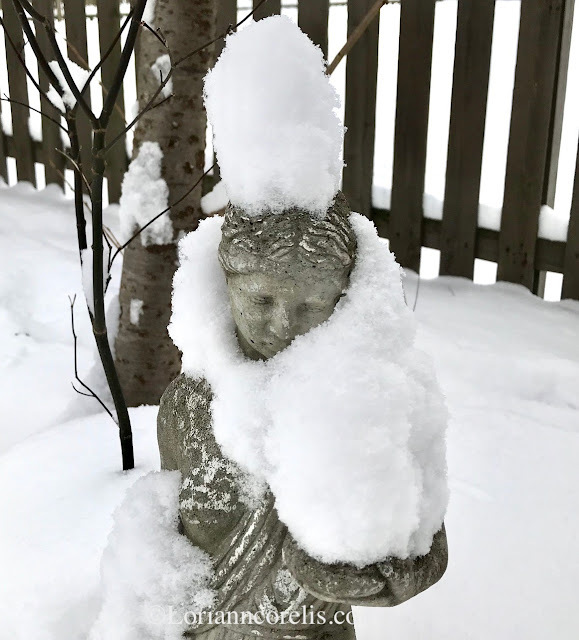 So very sweet to watch! As someone who has not seen snow in years, I'm living these beautiful pics!